The wine has a typical color of Riesling: yellow with some green. Bischöfliche Weingüter Trier translated into English means Episcopalian Wine Estate Trier. I already wrote about the rule of wine in the region of Mosel, Saar and Ruwer around Trier in my review of Peters Scharzhofberg: https://avdwineandfood.wordpress.com/2015/05/11/peters-schwarzhofberger-riesling-spatlese-2007/. This wine estate is a merger of three former wineries of the Catholic Church. Since fruits of the body are prohibited for priest, monks and bishops it seems they were focused a lot on the fruits of the gardens and hills. Communion wine requires less quality than many of the wines of Bischöfliche Weingüter Trier deliver. 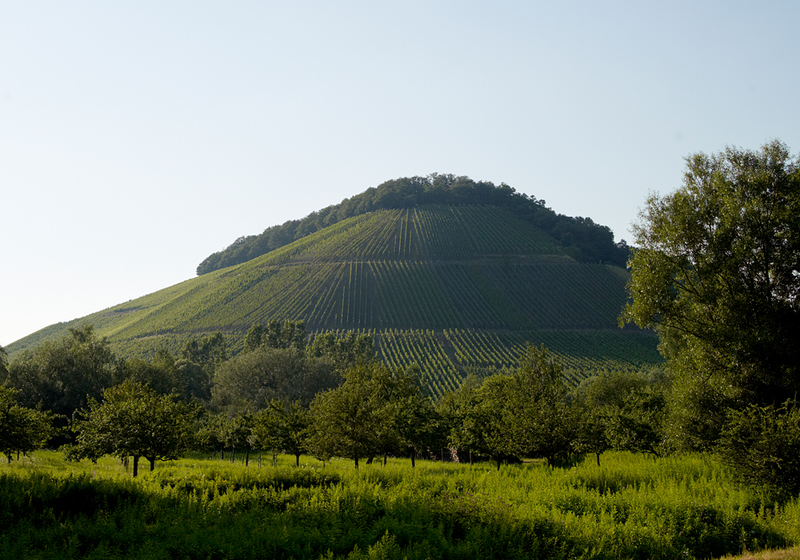 Ayler Kupp is the name of this famous vineyard on a pithy top of a hill near to the village called Ayl. The steep slope vineyard faces southwest which let the grapes mature in a nice long sun rich autumn. This is not a Mosel Riesling as already mentioned but Saar wine which I described a bit as mentioned before when I wrote about the Scharzhofberger. What it shows as well is that many of their wines are storable for decades! Since most of the these wines are rather affordable this is great perspective! Nice review of a from Trier on the Wine and Food blog.